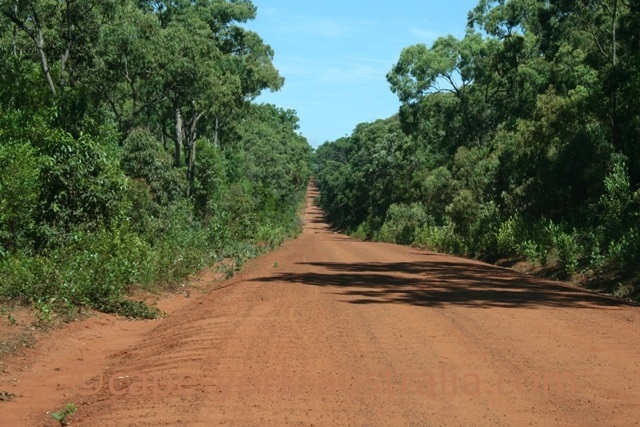 Battlecamp Road is a reasonably good gravel road. 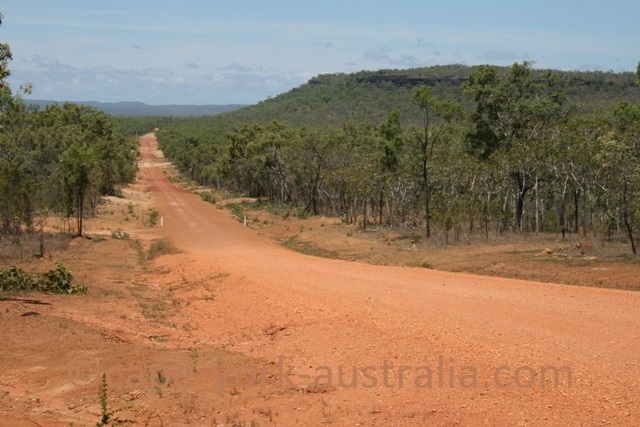 It is the road between The Old Laura Homestead (in Lakefield National Park) in the west, and the crossroad south of Hope Vale and north of Endeavour Falls Tourist Park (on the main road between Cooktown and Hopevale) in the east. 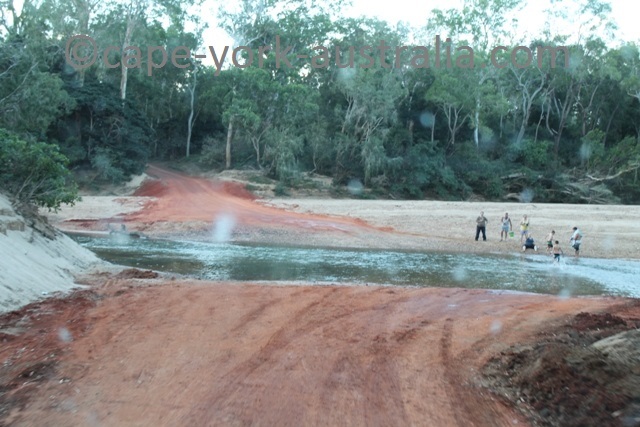 It is quite a good road, at least during the Dry season - it's gravel and can get corrugated but that's all - no dramas, except that there are two river crossings that could be deep in the early Dry. 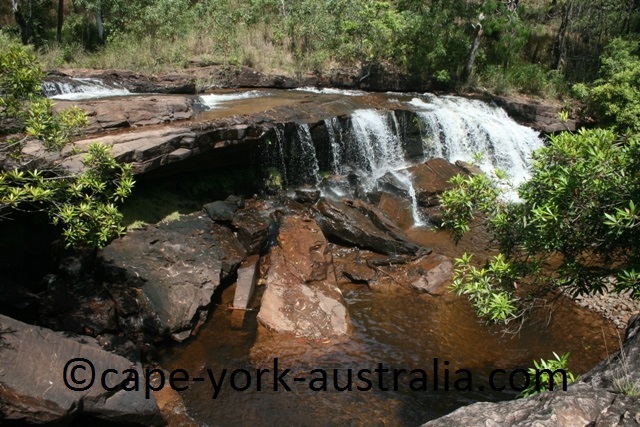 The easternmost one of them is a tributary of Endeavour River and it crosses the Battle Camp road at Isabella Falls. 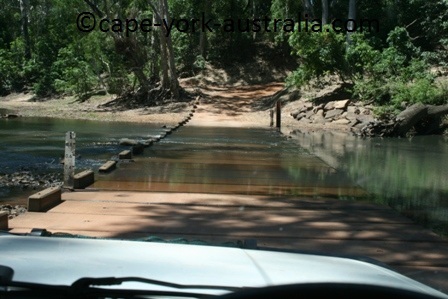 The westernmost one is Normanby River that crosses the road about 2/3 (from Cooktown end) into the track. 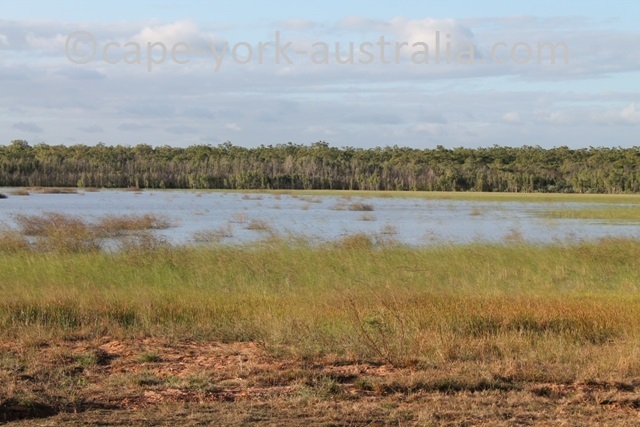 ... and comes to Normanby River - the one that may be deep in the early Dry season (obviously also deeper than in the following photo). 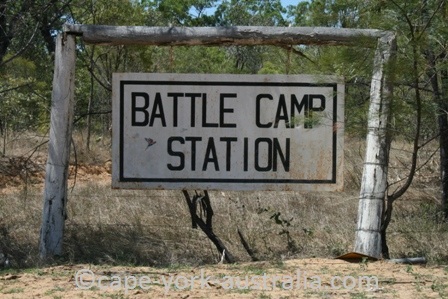 After the river you come to the gate of Battle Camp Station, and drive through it. There is a gate in the other end - leave it as you found it (open/closed). 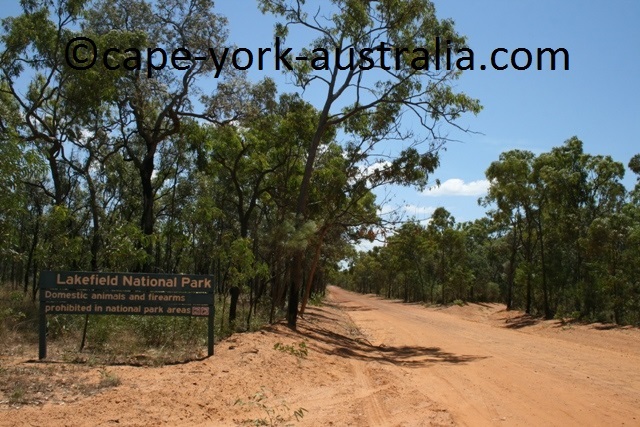 Not long after the station, Lakefield National Park starts. 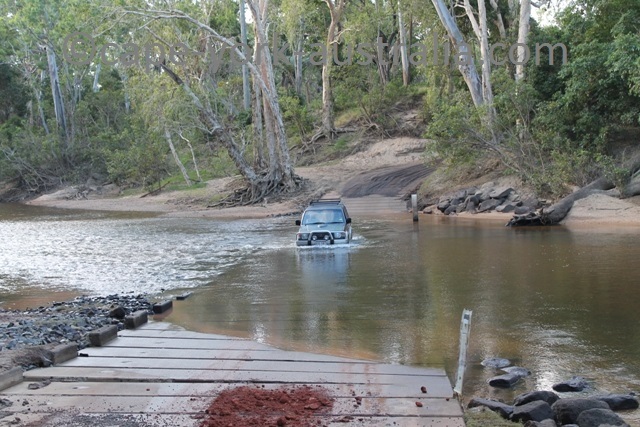 ... you drive across Laura River. 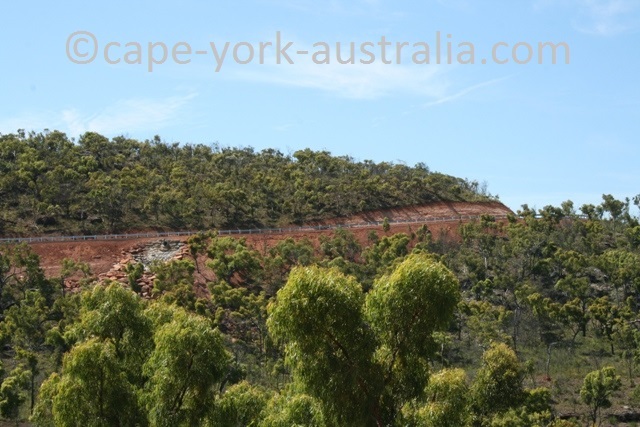 After that the road ends. 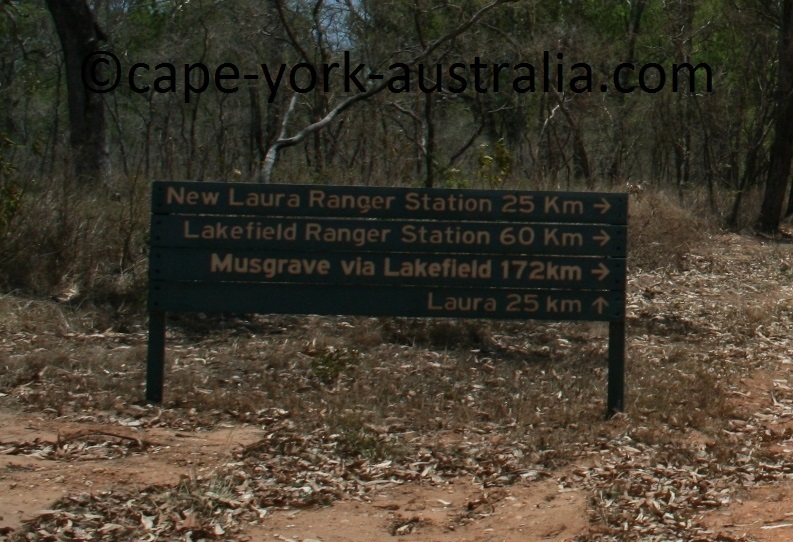 You can turn left to Laura, or right to the central and northern parts of Lakefield National Park. 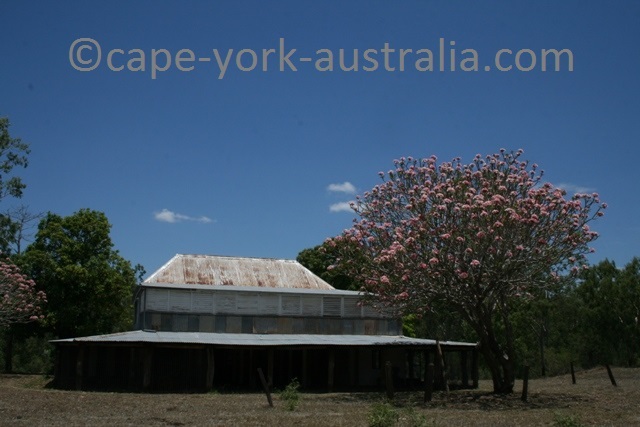 There is one more thing right next to this crossroad - and it's a beauty - the Old Laura Homestead - the best historical site in this national park.